After years of legal battles, the Environmental Protection Agency has started the process of removing Texas from a list of states that need to comply with requirements of one of its air pollution rules. The regulation, known as the Cross-State Air Pollution Rule, was aimed at reducing toxic emissions from mainly coal-fired power plants that can drift into other states. The idea was that, if you have a power plant in your state that causes pollution in other states, you had to clean up the emissions from that plant. “EPA had decided that Texas was causing two types of problems. It’s was causing too much ozone smog in other states and it was causing too much fine particles,” explained Daniel Cohan, a professor of environmental engineering at Rice University. But retrofitting a coal plant to “scrub” emissions and comply with the rule is a costly undertaking, and could have sped up the closure of some coal plants. Texas joined a lawsuit to fight the rule and, after a prolonged legal battle that included one visit to the Supreme Court, a lower court overturned the EPA on one part of the rule. 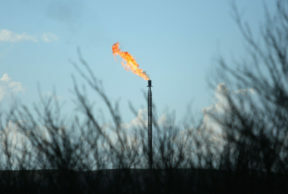 “The courts didn’t trust EPA’s finding that Texas was actually contributing to particles in other states,” Cohan said. Now, the EPA has announced it will remove Texas from a list of states that need to cap that particulate pollution, the ozone rules still stand. Cohan, sees the decision as a “pragmatic,” one that allows the agency to move forward in implementing the rest of the regulation. But, it was met with disappointment from some public health advocates.